Sky-Lens Aviation. UK/Commonwealth/USA: Legends with breaks in the clouds. Having travelled for nearly ten years over the world, to report on anything that is flying in Eastern Europe and Asia, I have not been attending Flying Legends since 2004. 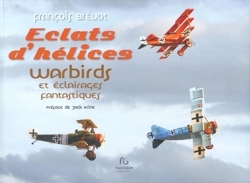 But having been visiting since, New Zealand several times and publish « Eclats d’hélices " last year, I must confess to have wondered if anything could compete with kiwi warbirds flying over gorgeous landscapes. So I took good care of myself and drove with kids to the Imperial War Museum Duxford, a few miles south of Cambridge. As always the IWM is fine for everyone, having the opportunity to see a real Blackbird, a TSR.2 a Vulcan, and a tanks Museum (impressive enough for one like me that doesn’t know much about tanks …). All these exhibitions, to name a few, are just enough to impress young guys as much as specialists. So how was the show ? You may say, « God, it is a 3 hours and a half only flying display » ? 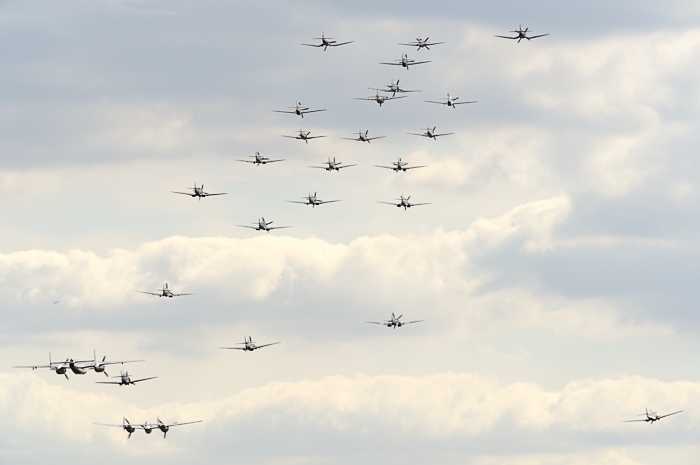 But wherelse can you witness so many warbirds gathered at the same place, all flying in an afternoon ? Attending US airplanes were Grumman Bearcat F8F, Wildcat FM-2, Didier Chable’s TBM Avenger, Curtiss P-36C, Curtiss Warhawk P-40 N, Curtiss Hawk 75A, Curtiss P-40 C and P-40 F, Goodyear Corsair FG-1D, an all black F4U-5NL Corsair, 2 x North American P-51 D Mustangs, and one TF-51 Mustang. Amazingly Piper L4A Grasshopers are not forgotten from the event. 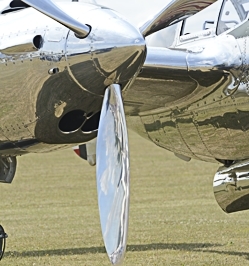 No doubt these light observation airplanes are some of the most important legendary assets from WWII, as witnessed by Gen. Dwight D. Eisenhower who said Piper L4 was one of the main weapons that permitted to win the War. Naturally, other airplanes crowned by Eisenhower were on the Flightline at Duxford, such as the Breitling DC.3 Dakota in Switzerland. 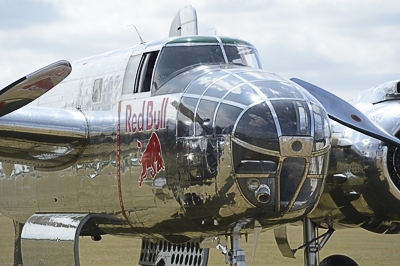 Red Bulls Lockheed P-38 Lightning, B-25 J Mitchell and F4U-A Corsair flew in, from Salzburg. I have to say the Flying Bulls performed the most astounding routines I ever experienced with them. B-17 G « Sally B » saved the big bombers honor, as the only strategic WWII airplane still flying in Europe at present time. In 2005, I remember having been supporting the campaign to keep it in the air, in my own words using with my " typing machine ", so it is always moving to experience Sally’s wingtips scratching heavens in an airshow. No wonder that British industry airplanes from the 1930s - 1940s era were numerous here on the flightline such as Hawker Nimrod MkI and Nimrod MkII, Hawker Fury, 2 x Gloster Gladiators, a Bristol Blenheim Mk. I, Hawker Hurricane XII, Supermarine Spitfire MkIa, Vb, LF III, VIIIc, LFVb, FRIX, Mk XVIII, Mk XIX, a,d PR Mk XIX, 2 x Hawker Sea Fury FB11. It was impressive and moving to experience - maybe for the first time in an airshow - a patrol that included the typical first year of the War with the Blenheim back to the skies along with Spitfires and Hurricanes. « Bad guys » were here with two Bf109 Buchons. One of them is popular since is was painted a few years ago with colours it wore while part of the Spanish Air Force during the 1966 film « The Battle of Britain » shooting, here at Duxford. It was also astounding to see again the « Red Seven » 109G-4 from the Messerschmidt Foundation at Manching, Germany. All three Messerschmidt 109s flew line astern for a unique photography. Inevitably « Tante Ju » joined the German chaps, flying in from La Ferté in France. Though having been seriously injured by hail last year, there is no problem in flying the Junkers with a somehow wrapped structure. What about a strict photographic point of view with british summer weather ? I remember last time having been travelling to Duxford, was far away from today’s Nikon D4 technology. I was with my pack of Fuji 100 ISO rolls of films and a Nikon F5 body, and very much disappointed with the results while watching slides back home. A few black clouds were enough to ruin series of pictures. It is true to say it was impossible to get correct photographs without perfect sunlight. I must confess I was grounded on that souvenir shrouded with clouds and rain coming back again in again in the UK airshow skies. For the last ten years I settled on other destinations luckily graced with plain bright sunny days. So here we are in 2015, with digital technology and Nikon cameras such as my D4s. These equipments expose photographic topics far better on low light conditions than films used to do. So digital deals finely with grey clouds, provided you have very short sunny intervals, just minimum light for exposure of an airplane against a grey background. As a result of this, in 2015, with digital, I came back from UK with much more correct pictures than I did ten years ago, having been at the same event under the same weather conditions. Finally I will remember glorious moments last week in Duxford, were those huge breaks in the clouds such as the Sunday July 12 4.30 PM big sunny interval coming after about a 20 mn long heavy rain treatment. It was a huge and momentous bright interval on the Flying Fortress, the Flying Bulls, the Curtiss Hawk 75A, and Morane Saulnier MS 406, sunlight giving these airplanes bright wings over black clouds.